If you are waging the battle-of-the-belly-bulge with daily crunches, you are wasting your time. Stubborn belly fat is a concern for a large portion of our society and many people think that endless sets of crunches are going to give them toned abs and a six-pack they can show off at the beach. In fact, there are much more effective ways to get rid of belly fat. Here are 4 simple steps that explain how to reduce belly fat. Before we get to the steps, let’s look at a common misunderstanding regarding crunches. CNN Health listed “spot reduction” as one of the top exercise myths. This means that you can’t do one specific exercise (like crunches) in hopes of reducing fat on a specific area of your body. Instead, fat will be reduced evenly over your entire body. A thick layer of belly chub will hide even the strongest set of abs on the planet! Belly fat is also known as abdominal visceral fat (AVF) and is necessary to surround and cushion your internal organs, but too much can be a bad thing. Besides acting like a tire around your waste, it is linked to health concerns like metabolic disturbances, cardiovascular disease, type 2 diabetes, breast cancer, and gall bladder problems. So how much is too much? The most accurate way to measure your AVF is to get a CT or MRI scan. A simpler way is to wrap a measuring tape around your belly at the level of your belly button. For women, the tape should read 35” or less. For men, it should read less than 40”. . Also check a height and weight chart to see if your weight falls into the recommended value for your particular height. If your measurements exceed these values, you should take look at these 4 simple for how to reduce belly fat. Since fat is reduced over your whole body evenly rather than in specific spots, it is important that you are fueling your body with healthy calories. You can do this by paying attention to three things: Sugar, Fiber, and Protein. First, let’s take a look at that sweet criminal – sugar. Both complex sugars in pasta, bread, and potatoes and simple sugars in juices, candy, and sodas are huge contributors to weight gain in our population. You’d be surprised how much added sugar is included in common foods like pasta sauce, breakfast cereals, and fruit drinks. Whether this sugar comes in the form of raw cane sugar or high fructose corn syrup, it is equally bad. 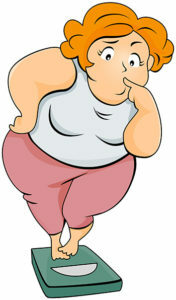 Simply put – sugar causes the creation of fat cells in your body. Time magazine even listed sugar as the number one driver of obesity and diabetes. Make sure you check the label on your common foods and think about picking up water instead of a soda next time you are thirsty. Finally, eat plenty of lean high protein foods like fish, chicken, and pork. A study in the FASEB Journal followed 39 adults eating various amounts of protein over a 31-day weight-loss diet. They found that dieters who doubled their protein intake lost more fat and maintained more muscle mass than those who only ate the recommended daily amount. Besides helping lose fat, protein will also help you repair and build new muscle allowing your body to burn even more calories at rest. When you work out, you need to really push yourself. Challenge your body and make it adapt to new workouts each day. When you are on your elliptical or treadmill, make sure you are varying your speeds from fast to slow and also alternating the incline or resistance. This is much more effective than simply setting your machine to a certain level of difficulty and plugging away for an hour or more. You will know you are exercising with a high enough intensity if your heart rate is 70-90% of your maximum heart rate. Go here to learn how to calculate these values for your age group. There are many great workout motivation programs out there to help you track your fitness. Take a look at iFit Live, ViaFit, and MyLiveLight on popular exercise machines to track your calories and workouts. 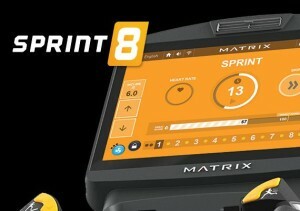 Also, check out the Sprint 8 program from Vision Fitness that takes this concept of HIET to the next level. This one seems counter-intuitive to say the least. How can a lazy activity like sleeping help you reduce belly fat? 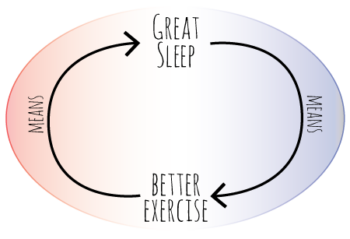 As it turns out, a study in the American Journal of Epidemiology found a connection between reduced sleep and weight gain. During a 16-year period of time, the sleep and weight of 68,183 women was tracked. The results showed a correlation between those that slept less on average and weight gain. The final contributor to belly fat could be too much stress in your life. When confronted with a stressful or dangerous situation, your brain will signal your body to release hormones including cortisol to help you deal with the situation. It may even be possible that you have pent up anxiety that is pulling down on your mind and body. This article has some useful tips for recognizing this anxiety and finally releasing it. You may want to check out some of the recommended books or try meditation. Above all, learn to love yourself and put conscious effort into finding internal peace. Then, releasing cortisol hormones can help you deal with emotional eating and finally release fat stores. An article in Psychology Today explains, “Once the effects of adrenaline wear off, cortisol, known as the ‘stress hormone,’ hangs around and starts signaling the body to replenish your food supply.” This means you are more likely to eat unnecessary calories when you are under a high amount of stress. If you can minimize stress, it could help you reduce belly fat. There you have it! Four simple steps for how to reduce belly fat and inches around your waist. If you watch your diet, exercise properly, get enough sleep, and reduce stress in your life, you can be one step closer to your ideal fitness goals. What are some of your favorite low sugar snacks that help you keep your diet on track? What treadmill programs are your favorites for high-intensity workouts?